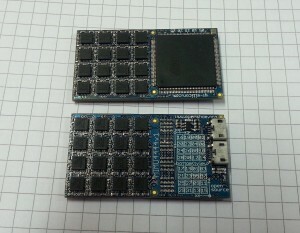 Finally, the new gen­er­a­tion of the IMU array boards, the MIMU4444v1, arrived yes­ter­day. These boards mea­sure 49.3x26.6[mm] and con­tain 32 MPU9150 IMUs each, which are all sam­pled in par­al­lel. The embed­ded soft­ware for the boards is achieved by com­pil­ing the code on source­forge with the argu­ment –DMIMU4444. The design-files for the boards are avail­able under Massive-MIMU. This is not an April fool mockup! The multi-IMU boards are rather a major side project to the main foot-mounted INS devel­op­ment. 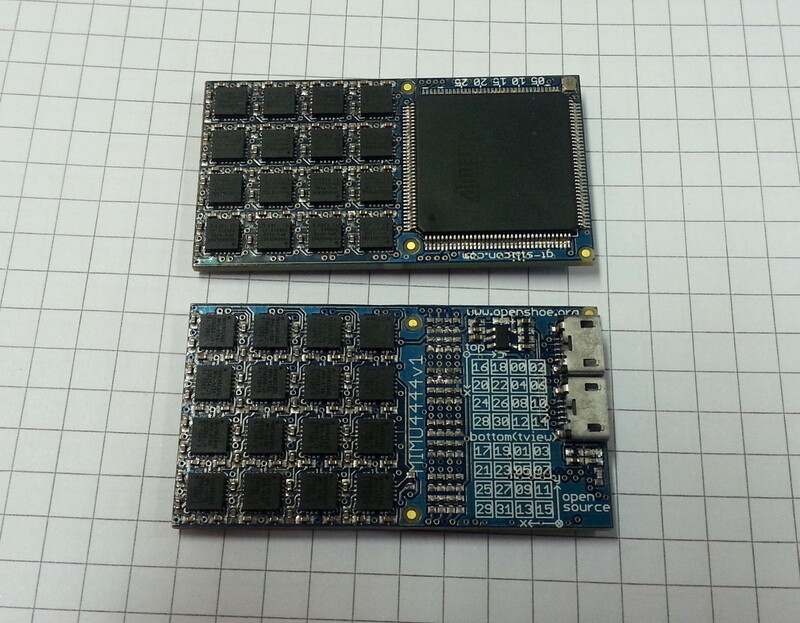 The same prin­ci­ples are used in the MIMU22BT boards but with 4 IMUs.